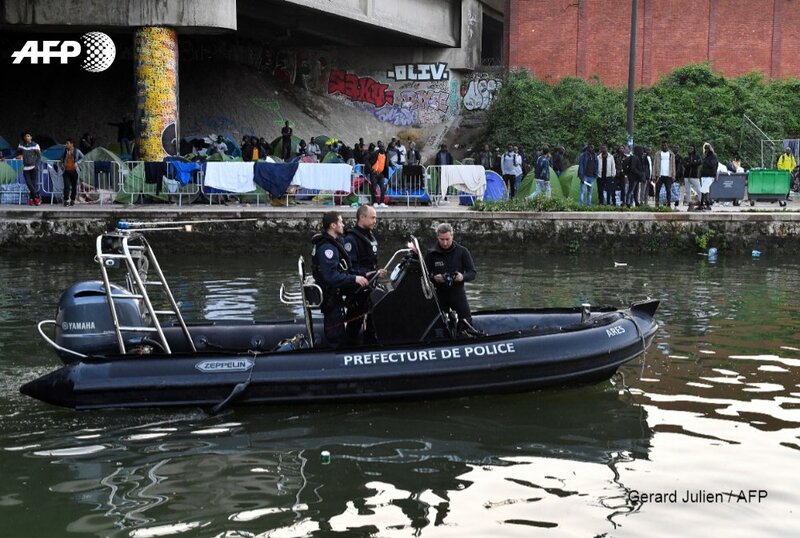 Undocumented migrants living in makeshift camps in northern France have been subjected to an “unprecedented” violation of their basic rights over the past three years, the country’s human rights ombudsman said in a report Wednesday. In 2015 he had already sounded the alarm over the plight of migrants in the squalid Jungle shantytown at the port city of Calais, which at its peak was home to around 10,000 people hoping to stow away on trucks crossing the Channel to Britain. The camp was razed in October 2016 and the migrants taken to shelters around the country. Since then, “the situation has in fact significantly worsened,” Toubon said in his report on camps in Calais, Grande-Synthe and Ouistreham — all ports on the Channel coast — as well as in Paris. He accused the authorities of “trying to make (migrants) invisible” by regularly tearing down their camps without providing them with viable alternatives. Around 500 migrants are estimated to be living in the Calais area, with hundreds more living in Paris. President Emmanuel Macron has taken a dual approach to migration, speeding the asylum claims of people deemed to be bona fide refugees while vowing to speed up the deportation of so-called economic migrants. He was particularly critical of the methods used by police to prevent the emergence of new settlements, including the use of tear gas during clearance operations. The situation was leading to an “unprecedented deterioration” in the migrants’ health, including their mental health, he said, expressing particular concern for unaccompanied minors. Last week, four leading migrant charities in Calais issued a report documenting allegations of police violence made by scores of migrants, including the alleged use of tear gas on 153 occasions between November 2017 and November 2018. The prefect in charge of public security in the region, Fabien Sudry, accused the charities of drawing on hearsay. A total of 23 attempted crossings were reported that year, falling to just 13 in 2017, Parrot said. But the prospect of Britain’s exit from the E.U. next March, which could lead to tighter controls on immigration, may be pushing more migrants to make an attempt by sea instead of trying to stow away on vehicles in Calais. French hotel and restaurant owners are lobbying the government to regularise more illegal migrants in order to fill 100,000 jobs for which they have found no French takers. “We’re facing a huge shortage in our sector,” Roland Heguy, president of the hotel industry body UMIH, told AFP. “Companies are finding no one, which is why we want to facilitate the integration of refugees in our businesses,” he said. What's Up With Facebook Data Protection Issues?